Thoughts from a Traveling Tech: So THAT's where they keep it! Click for a better view of the sign. As an IT consultant, I get a lot of questions thrown at me. Some of them more often than others. One of the big ones? "Where's my data?" I think I finally found the answer to that question recently while working at a client site. This door was just a simple door in a wall in the basement of the building. Nothing special about it, until I noticed the sign. I was afraid to open the door for fear that the bits and bytes might get out and the client would be mad about losing their data due to my negligence. Well, now I can honestly answer them when they ask me where their data is. 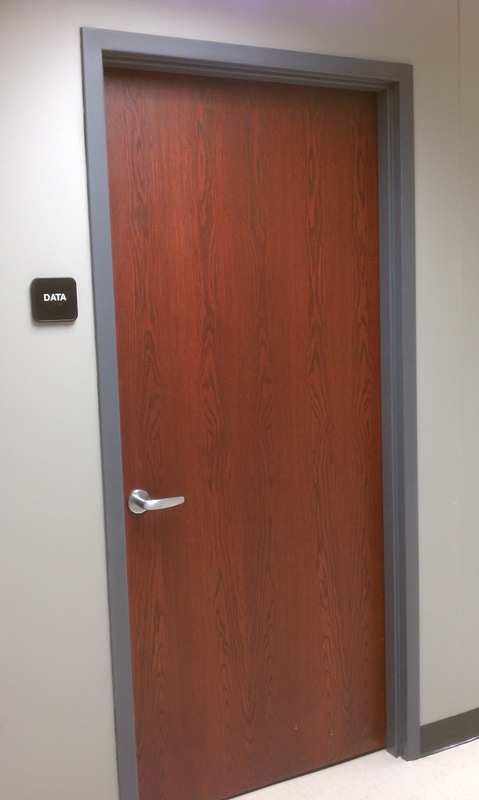 Labels: bits, bytes, closet, data, door, Really? Oh Thank heavens you were able to excape the Twilight Zone at your hotel! I was worried! Not only that, NOW you have enlightened us with the answer to DATA question. HOpe you are not in trouble for that.